Having watched Rebecca Seawright exceed expectations in her first term as State Assembly Member for the 76th District, which includes Roosevelt Island, we firmly believe she's earned our votes. In fact, were it not for partisans who'd vote for a cornstalk as long as it was on the Republican line, we'd expect her reelection to be unanimous. 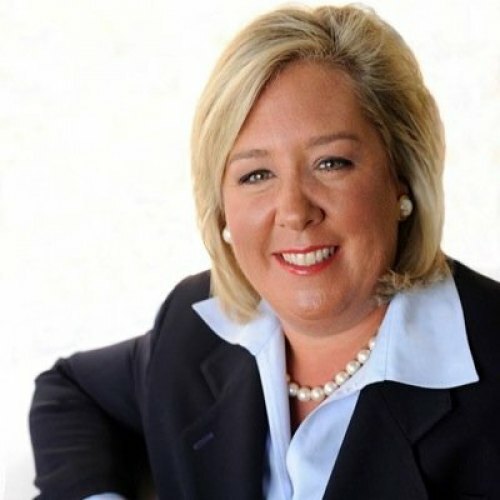 Rebecca Seawright's first term saw ten of her bills passed in the Assembly. Seven went on to become law. She chairs the Subcommittee on Consumer Fraud Protection and, generally, actively maintains her commitment to advancing women's rights, using skills honed, prior to her election, as New York State Director of the National Women’s Political Caucus. Much of her success can be attributed to a solid early grounding in working politics, seasoned by staff work in the State Assembly and, also, in Washington with Senator and one-time Vice Presidential Candidate Lloyd Bentson. That seasoning has been most apparent in her seamless ability to work in coordination with other locally elected representatives, especially City Council Member Ben Kallos and State Senator José Serrano. Although we don't agree with all of her positions, we are impressed by her deep grounding in the issues, her choice of talented staff making up "Team Rebecca" and her determined advocacy. It's a rare special event on Roosevelt Island in which either Seawright or a staffer does not appear. Chief of Staff Katarina Matic has appeared before a regular monthly meeting of the Roosevelt Island Residents Association and spoke at the Tram's 40th Birthday Bash. But the part of the job that most distinguishes public servants is the hard, feet on the ground work of constituent advocacy. Seawright has spoken up passionately in behalf of Manhattan Park residents in a dispute over sub metering, and her contributions to the Westview affordability plan, helping them to a graceful Mitchell-Lama exit, were key to finally getting a long desired goal met. Seawright's challenger is 26 year old Jon Kostakopoulos whose positions are virtually undistinguishable from hers. A neophyte, he has not yet assembled credentials that lead voters to expect the kind of effectiveness we have seen from Seawright. After serving as Director of Field Campaign Operations during the last mayoral campaign, he also worked for his godfather as Producer of Cats Roundtable with John Catsimatidis. Today, he serves as public relations manager for TheStreet online magazine. Kostakopoulos cites as his role model "Congressman Bill Green," one of the last liberal Republicans, but an odd choice since Green was defeated for reelection by Carolyn Maloney in 1992 when Kostakopoulos was still an infant. It's neither possible nor fair to judge a candidate with so little track record in public service, but at this point in Kostakopoulos's career, there is no reason to imagine his doing as good or effective a job as Rebecca Seawright. We can only imagine him running as the last Republican standing when the music stopped. From a local perspective, we note that the Republican challenger grew up in Yorkville and remains strongly devoted to his neighborhood. There is no indication that he ever noticed Roosevelt Island, just across the West Channel of the East River, let alone ever became attuned to the community's needs.